Need a Guest House? Here it is!! 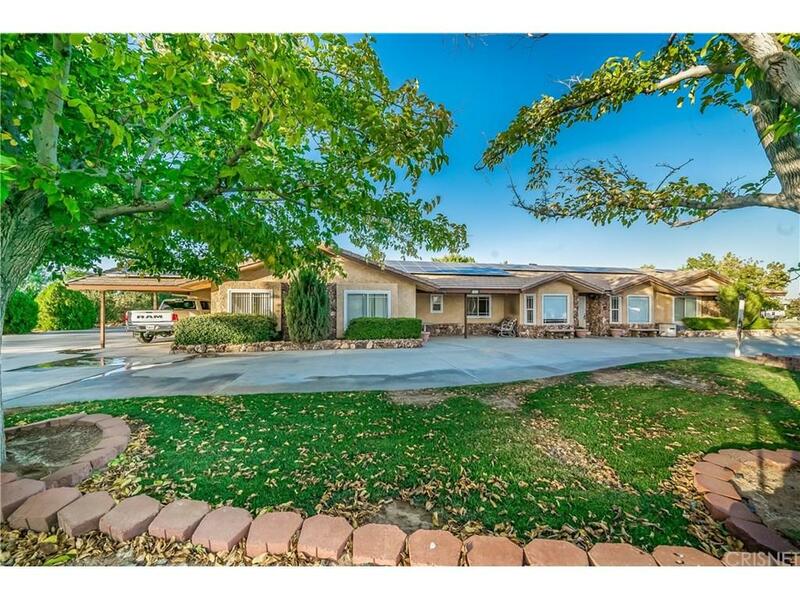 This Gorgeous White Fence Farms Ranch Style Custom Home Featuring 5 Bedrooms and 4 Bathrooms on 2.5 Acres. This Home has a Complete Guest/Mother-N-Law Permitted Suite Attached with an Enormous Bedroom, Tons of Storage, Full Bathroom with Wheelchair Accessible Shower, Kitchen, & Living Room. This Gorgeous Home Features NEW Copper Pipes, NEW Roof, New Septic Tank, New Ca Deluxe Windows Throughout. Spacious Kitchen with an Abundance of Cabinets for Storage, Island, Dining Area, Breakfast Bar, & Formal Dining Room. Large Utility Room with a Built in Salon Shampoo Unit, Indoor Laundry Room, Spacious Bedrooms, & Tons of Storage Throughout the Home. The Backyard is Fully Landscaped and Fenced, Several utility sheds, Concrete RV Pad with 30 amp Power. Plenty of Room for RV's, Horse Trailers etc. & an Attached Oversized 2 Car Garage, and a Carport attached to the Guest House. This is a Must See!